YOU NEVER KNOW WHAT YOU’LL FIND ON KICKSTARTER; books on scrolls, cricket protein bars, indie band fundraisers, origami kayaks—okay, that one is pretty cool—and the list goes on. 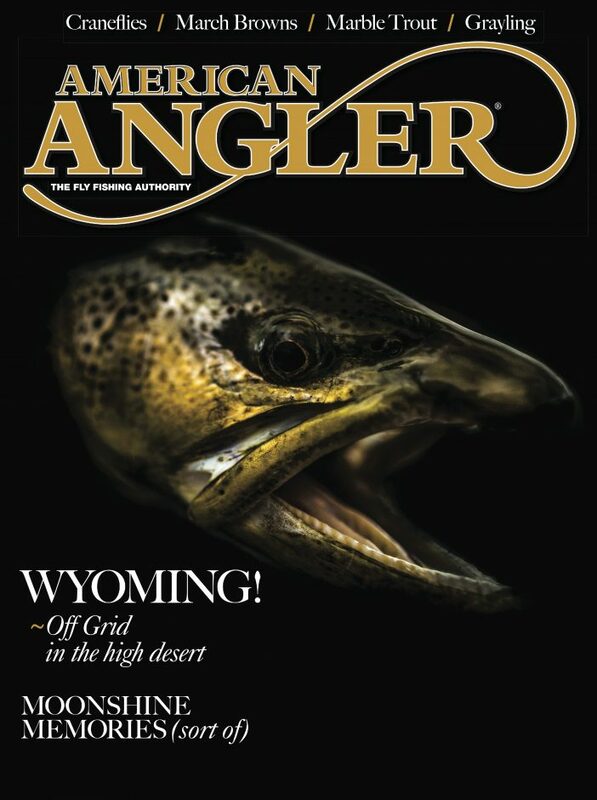 Occasionally, however, new ideas and start-ups in the fly-fishing industry pop up on the crowd-sourcing market. Some come and some go. When the rubber meets the road, the niché nature of our sport can prove to be challenging for some, but several brands we now consider “here-to-stay” got their start in the humble world of Kickstarter. Be sure to read a full review below and see how the Session reel stacks up in the saltwater flats. Plus, enter to win a FREE reel! Aside from it’s styling and practical nature, the session reel also grabbed my attention at its price point ($199) and for its sealed drag system. In the reel game, those two factors seem to be constantly at odds with one another and play a pivotal role in gear accessibility for the anglers strapped for cash. So, I decided to reach out to Session creator, Ryan Michel, to pick his brain and talk shop. Yours is not the first reel or brand to jump on the scene through Kickstarter, what do you think separates your Session Fly Fishing Reel from others we’ve seen before? Correct, we are not the first to the Kickstarter party, and we have a lot of respect for the brands that have entered the market through Kickstarter before us. Humbly, we’d say that we are taking a really different approach to the sport altogether. It starts with a pretty audacious wave crest curling around the knurled drag knob. So first, we put a huge emphasis on art / style. It should speak to those who crave the surf culture, and we want customers to do a double take every time they pull the reel out of the case (honestly, we still do). Second, and you hit on this in your introduction, we want a very high quality, rugged reel to be accessibly priced. We don’t buy into the myth that fly fishing is expensive. We are pulling new people into the sport and really focusing on men and women in action sports. Session wants to help introduce a new generation/culture into the sport that we feel will steward our waters and mountains. As an East Coast kid, I grew up in the 80s idolizing the West Coast’s surf culture and waves, but back then, it seemed the world knew little about fly fishing in California. Now, it’s known for both. Are the surf and fly cultures beginning to merge out west? Absolutely, that is what we are seeing. It really started when we’d fly fish the surf, usually at Cardiff. Surfers would constantly cruise over to ask what we were doing (“Bro, you can fly fish on the beach? !”) We also started to see fly fishing pictures pop up on Instagram feeds for guys known for their surfing, snowboarding, skating, etc. Fly fishing scratches the same itch as action sports in a way: you have to work hard, practice and understand body mechanics to cast well, and you have to do your homework to know how and where to catch fish. It’s like being able to know where to paddle out by watching the data off the buoys. Your reel is already backed by folks like Kameron Brown, of Howler Bros, and you brought in muralist and Encinitas artist, Skye Walker, for the reel design. It all seems pretty grassroots and well supported by big West Coast names. Was that intentional? I feel super blessed to have Kameron and Skye as part of the project. Skye Walker did the wave art for the face of the reel. We have a TON of respect for him and what he’s done in our town of Encinitas (and now far beyond). He’s a solid dude and we are honored to machine his creativity into each reel. Skye is all class, he is an amazing ambassador both in the art world and adventure sports world. Kameron has been huge in many different ways; no way we’d be where we are without him. I’ve said a hundred times that my favorite part of this journey has been the people I’ve met. Fortunately it didn’t, but had the Kickstarter campaign flopped, I felt I had already succeeded in the relationships I’ve built. So yes, the intent is to build a genuine, honest, real brand culture with people who already live that culture with integrity. Kameron and I always talk about “the long game” in Session (and in life). I’d say we are playing the long game in building a grass roots brand people will believe in and trust. The Session Fly Fishing Reel is fully sealed. Could you tell us a bit more about its specific design features? Sure, we can geek out a bit on that. First, it’s all the table stakes stuff: anodized 6061-T6 aluminum and a fully sealed drag. 6061-T6 is an alloy (aluminum on its own is too soft) that’s often used for watercraft because it’s strong, lightweight (think hulls and sailboat masts) and it takes well to the anodizing process. The drag is a tried-and-true carbon disk design with an aggressive weight, about 11-12 pounds of pull when fully buttoned down. I’ve been using my reel for years and go out of my way to not rinse it every session and I don’t baby it. I don’t like treating something poorly, but if it fails I want to be the first to know. It’s still smooth and beautiful. Finally, the spool/body are all fully CNC machined. The body undergoes this etching process (that’s very manual and a bit of a pain in the a**) that yields a beautiful contrast between the art and the polished surface. Each Session reel is finished by hand, often my own. There are a bunch of other specs on our website for folks to dive into, and a video of the drag pull. Where can folks learn more about Session, and purchase a reel? Folks can follow us on Instagram and Facebook at @sessionflyfish, and they can learn more about us and the reel, as well as purchase one securely, at sessionflyfishing.com. When it comes to gear, looks are just as important as performance, and hype means very little unless their is product to back it up (Just ask the Fyre Festival). But, in the deepest recesses of the mind of a gear-junkie is the red flag that too often gets thrown due to the budget factor. We’ve all fell in love with a product on shelves or online and then felt our gut turn when the price tag gets flipped. There is too often a large disparity between quality and affordability. That’s what I find most appealing about the Session Fly Reel. It ranks high on the quality axis and equally so on the economical. It comes in at just under $200 and looks–and performs–like a reel in a higher price bracket. Is it really an “all-water fly fishing reel”? Well, it’s hard to imagine a better place to test a reel than on the bonefish flats. If it can perform there, it can handle just about anything you throw at it. We took the Session Reel to the northwest flats of Great Abaco Island and tested its mettle against the pound-for-pound strongest gamefish on the flats. The result, a reel that handled blistering bonefish runs deep into the backing, with ease. One thing I really like about the reel is how its drag dial is easy to find while adjusting mid-fight. The solid, convex surface of the engraved side makes it easy for your fingers to find the dial and not accidentally slip through to the moving parts–which on a bonefish run is a good way to lose a fingernail. While the reel’s spool isn’t exactly large arbor, it still recovers line quickly enough to fight even the feistiest bonefish. It’s smaller diameter is however a benefit when it comes to storage or travel. The spool will still hold 175 feet of backing when paired with an 8wt weight-forward flats line like RIO’s Bonefish line. The reel’s solid wave-side does add a bit of weight to the overall design, as you can imagine, but it is by no means a heavy reel. It paired nicely on my 8wt fiberglass rod, and didn’t cause fatigue, even when lugging it around all day and casting long distances. It’s just a good-quality reel with a smooth, sealed drag system that’s affordable and, not to mention, looks good too. What more can you want? Don’t be surprised to see this brand and this reel doing big things in 2019.